Theorem 1. One-half of the world’s problems are caused by people using the same word for different things. Theorem 2. The other half of the world’s problems are caused by people using different words for the same thing. If you have facilitated group meetings, written guidelines, or led training sessions, you probably have experienced those problems. 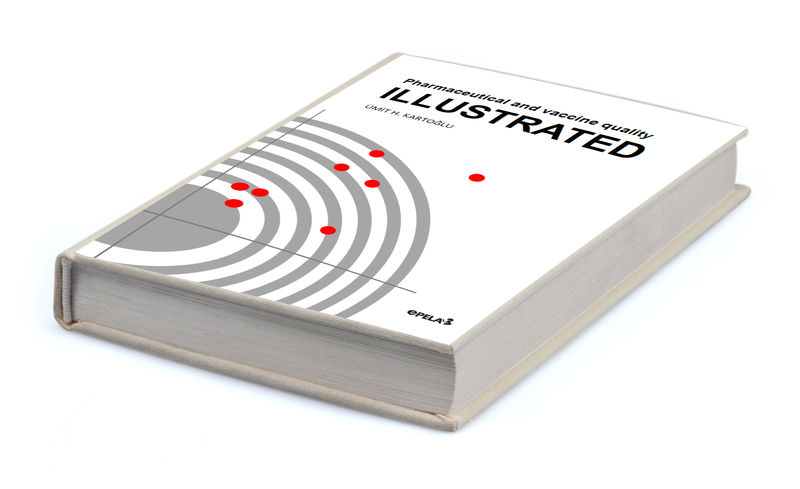 And, if you have, this book, Pharmaceutical and Vaccine Quality Illustrated, will be a valuable addition to your bookshelf. Dr. Kartoğlu has researched a long list of terms important in pharmaceutical and vaccine manufacturing, distribution, and quality and provided clear definitions. He has used his skills as an illustrator and photographer to make certain terms and concepts even easier to understand. Even if you haven’t experienced terminology confusion, this book is still extremely valuable as a reference tool and information source. Simply browsing through it will make you smarter. 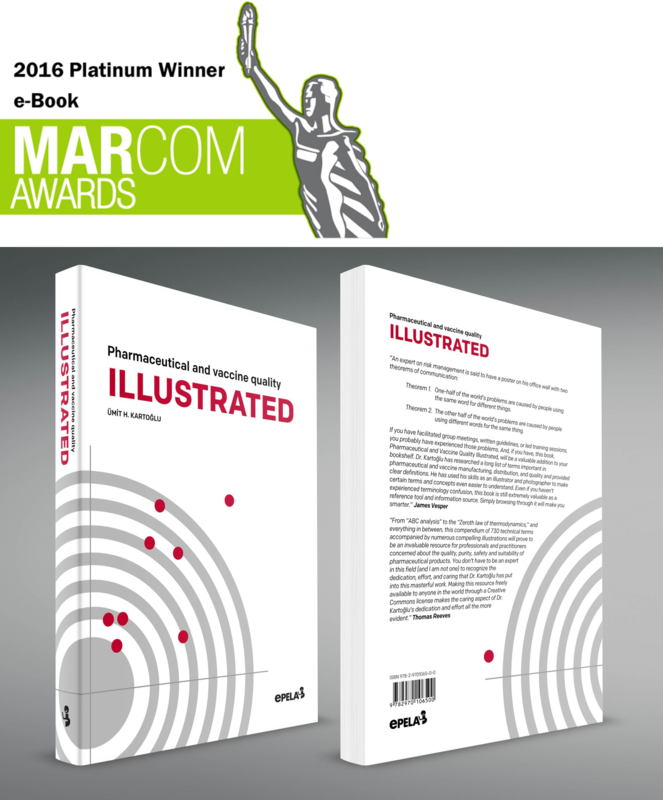 From “ABC analysis” to the “Zeroth law of thermodynamics,” and everything in between, this compendium of 730 technical terms accompanied by numerous compelling illustrations will prove to be an invaluable resource for professionals and practitioners concerned about the quality, purity, safety and suitability of pharmaceutical products. You don’t have to be an expert in this field (and I am not one) to recognize the dedication, effort, and caring that Dr. Kartoğlu has put into this masterful work. Making this resource freely available to anyone in the world through a Creative Commons license makes the caring aspect of Dr. Kartoğlu’s dedication and effort all the more evident.